On arrival at Delhi International airport, you will be met by our representative and transferred to hotel , this night relax at hotel. In the morning take a city tour of Old Delhi covering Jama Masjid - The largest mosque in Asia; Red Fort - The red stone magic; Gandhi memorial - The memoir of father of the nation. In the afternoon take a city tour of New Delhi covering Qutub Minar, Humayun's Tomb, Bahai Lotus Temple, Laxmi Narayan Temple, India Gate- The memorial of martyrs, drive past Parliament House & The Government headquarters. Morning leave at 0700 hrs for Agra by surface, visiting en route Sikandra to view the 1613 built tomb of Akbar. Upon arrival check in at your pre booked hotel . First visit Taj Mahal and later visit more interesting places like formidable Agra Fort and come back to hotel for overnight stay. 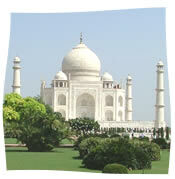 Agra was the capital of India under the Moghuls in the 16th and 17th centuries. We also see the exquisite tomb of the emperor Jehangir's chief minister and father-in-law, often called the 'BABY TAJ' because its design foreshadows the Taj Mahal. Morning proceed for Jaipur en-route visiting Fatehpur Sikri, the deserted capital of Emperor Akbar approximately 35 kms outside Agra. Built in the 16th century, this city was abandoned 12 years later due to a scarcity of water. The entire city of Red sand stone (sand stone palaces and temples) is virtually intact and a site worth seeing is the 54 m high main entrance. The deserted, red Sandstone City , Emperor Akbar built that as his capital and palace in the late 16th century is an exhilarating experience. Also visit the Bulund Darwaza , the largest gateway in the world. Upon arrival in Jaipur check in at pre booked hotel for overnight stay. The origins of the beautiful city of Jaipur can be traced back to the eighteenth century, during the reign of Jai Singh II who ascended the Amber throne in 1699. In-spite of growing into a bustling metropolis, it still retains its history - A beautiful fusion of the yesteryears and modernity. It is popularly known as the Pink City because of the extensive use of the locally abundant pink plastered stone, painted so in honor of the visit of the royal consort of Queen Victoria. Jaipur thrills the soul with its Grand forts, magnificent palaces, beautiful temples and lush gardens. Breakfast will be at hotel. Proceed for a morning excursion to the Amber Fort. Enjoy the fort ascent on elephant back till the main entrance of the fort in a royal manner. 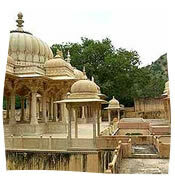 Amber is the classic Rajasthani fort palace. 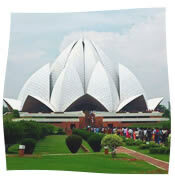 Its construction was started by Man Singh I in 1592, andcompleted by his descendent Jai Singh I. Its forbidding exterior belies an inner paradise where a beautiful fusion of Mughal and Hindu styles finds its ultimate expression. and the City Palace Museum . The " Palace of Winds " is a world famous landmark in Jaipur. It is a five-storey structure of sandstone plastered pink encrusted with fine trelliswork and elaborate balconies. The palace has 953 niches and windows. Built in 1799 by Pratap Singh, the Mahal was a royal grandstand for the palace women. Narayan dressed in gaudy robes, representing a Hindu vision of heavenly luxury. Carvings in the temple and on pillars supporting the covered walkways include images of the Hindu pantheon, as well as Jesus, the Blessed Virgin Mary and St Francis of Assisi. Overnight will be atJaipur. After breakfast check out, then drive to Delhi and upon arrival straight drop at International airport to board flight back home.